Despite winning last night's match 1-0, Flamengo could not overcome a shaky performance in the first leg and was eliminated from the 2018 Copa Libertadores by Cruzeiro 2-1 on aggregate. RIO DE JANEIRO, BRAZIL – On Wednesday, August 29th, Flamengo faced off against fellow Brazilian club, Cruzeiro, in the second leg of the Copa Libertadores round of 16. Despite a postive performance, the Rubro-Negra fell just short, winning the game 1-0 but losing 2-1 on aggregate, sending the club packing from the Libertadores. Flamengo played well, but were eliminated from the Copa Libertadores falling 2-1 on aggregate to Cruzeiro, photo courtesy of CR Flamengo. 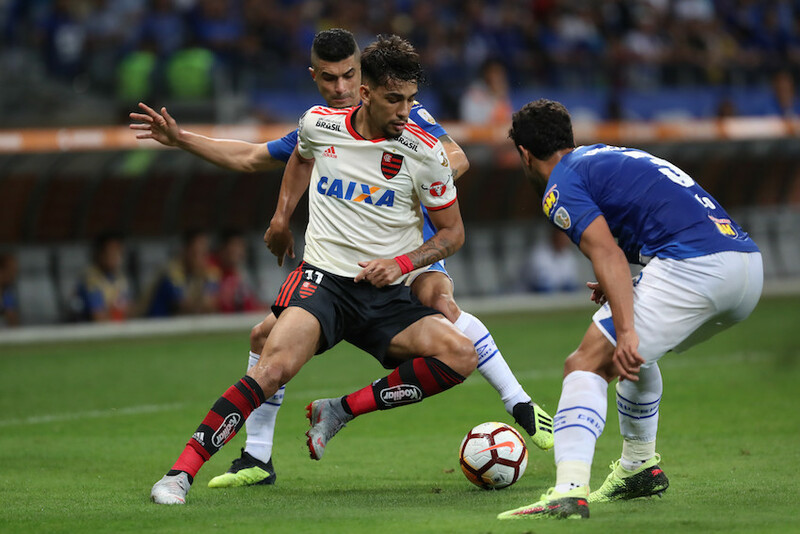 Flamengo took the pitch at Mineirão stadium in Belo Horizonte needing at least two goals to force a shootout or three to advance after falling to Cruzeiro 2-0 in the first leg at Maracanã on August 8th. Both clubs played well at the outset last night with Cruzeiro looking especially strong on the counter. Flamengo kept Cruzeiro off the scoreboard, but with nothing to show on offense themselves, both clubs settled for a goalless first. As the second half began, Cruzeiro appeared to already be looking ahead to the next round and Flamengo made them pay. At the 70-minute mark, Léo Duarte headed in a close-range pass from Everton to give Flamengo the 1-0 lead. Needing only one more to force the shootout, Flamengo desperately searched for their second goal as the minutes ticked away. In stoppage time, the Rubro-Negra brought everyone up in a last-ditch attempt to score, but Cruzeiro’s defense held on as the final whistle blew. Despite winning the game 1-0, Flamengo was eliminated from the Copa Libertadores, losing to Cruzeiro 2-1 on aggregate. Flamengo returns to the pitch to meet Ceará in round 22 of the Campeonato Brasileiro Série A (Brasileirão) on Sunday, September 2nd. In the Brasileirão standings, the Rubro-Negra currently sit in third place with 41 points, just behind Internacional with 42 points, and league-leader São Paulo with 45 points.